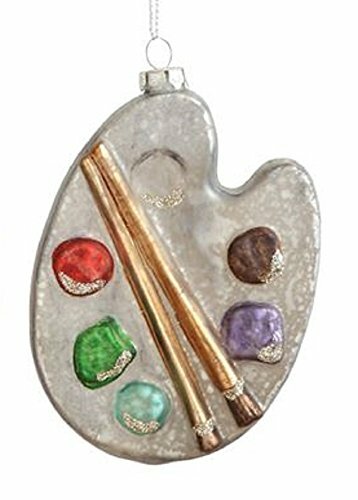 Celebrate your artistic side this Christmas, or give a memorable ornament to a friend who loves to create art! Are you an artist looking for some themed, artistic Christmas ornaments for your tree? Or do you know someone who is an artist, and you want to get them a fun ornament as a Christmas present this year? 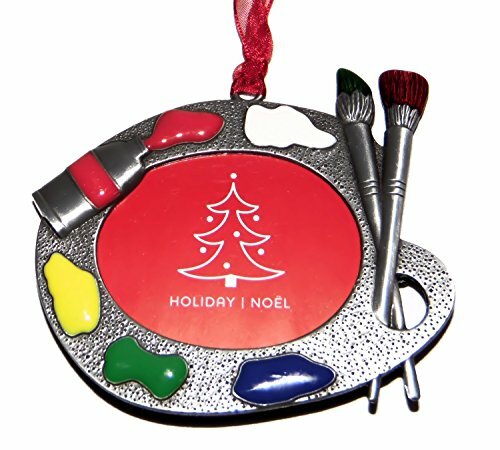 I've assembled a variety of artist-themed Christmas ornaments on this page, all of which you can order on-line from Amazon, eBay or other sources online. 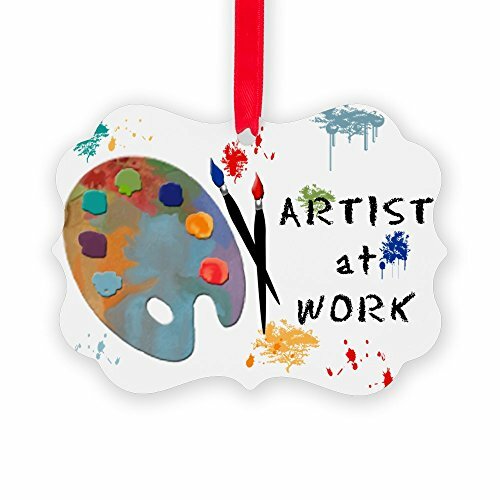 These fun ornaments will surely add a personal touch to any Christmas tree and will delight any painter or drawer - or just about anyone with a passion for appreciating the arts! All images on this page are courtesy Amazon, eBay or Flickr unless otherwise specified. 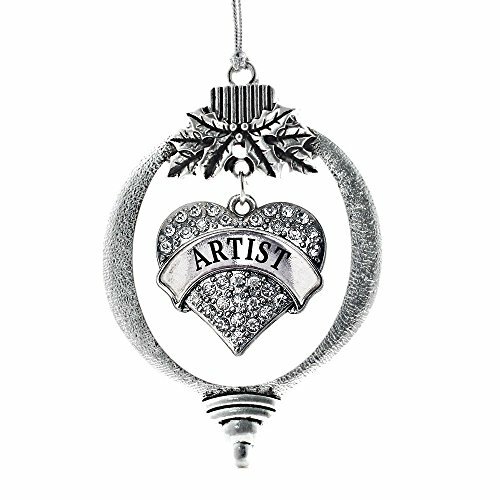 This gorgeous Christmas ornament is just perfect for an artist! It's made from mouth blown glass and hand-painted in bright colors and glitter. 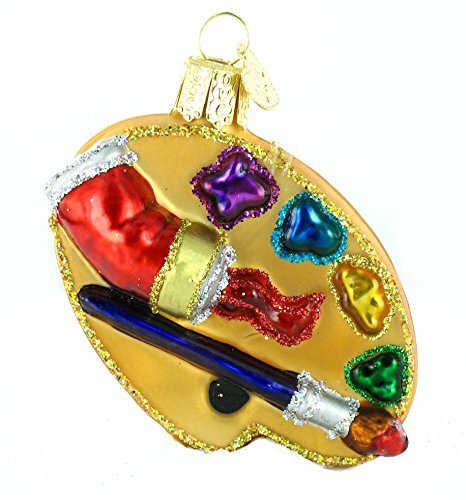 This is a really colorful ornament that represents artistic inspiration and passion beautifully; it's a great choice for any art lover in your life. 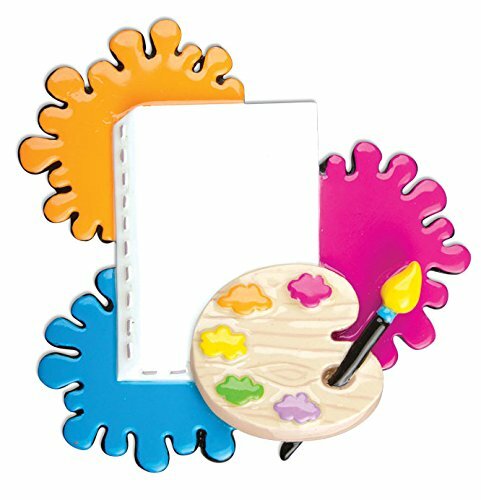 Here's a great "three-dimensional" artist palette ornament from popular manufacturer Kurt Adler. It's quite large - almost 4 inches in height—and quite three-dimensional with the paint brushes and palette knife pushing through the finger-hold. Definitely a great piece if you're planning an artistically-themed Christmas tree! Who doesn't love Snoopy! 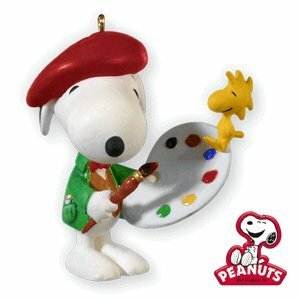 Here we have the beloved comic and cartoon character posing as an artist, in the adorable Hallmark collectible ornament. 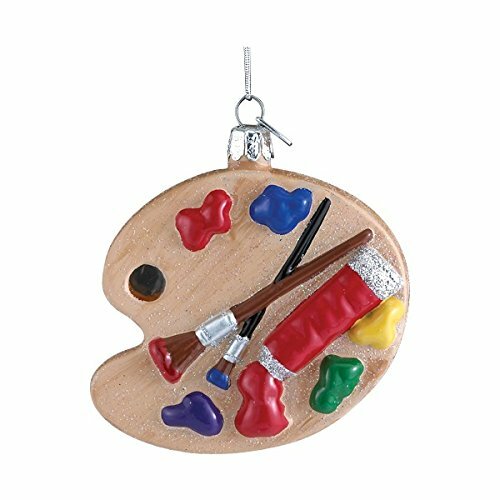 Definitely a cute addition to any art-themed ornament collection. “Art enables us to find ourselves and lose ourselves at the same time.” - Thomas Merton. 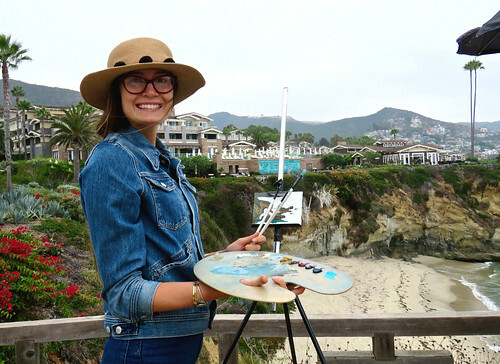 Show Off Who You Are: A Proud Artist! 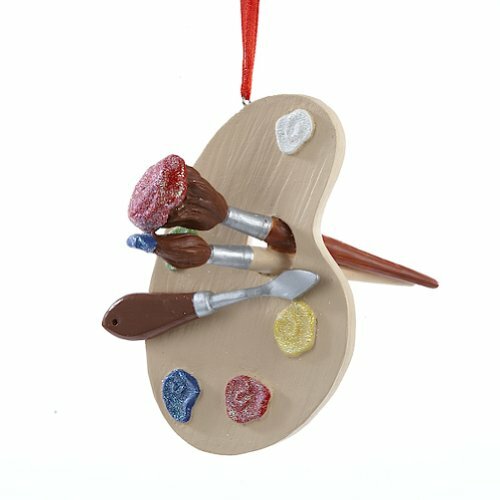 Show off your artistic pride with some of these cool ornaments! Some can be personalized to include a photograph, your name (or signature), or maybe a mini-reproduction of one of your works. Here's a cool - and beautiful - ornament for an artist! This mouth-blown glass ornament is carefully hand-painted and would make for a lovely gift, or heirloom for an artistically-minded family or individual. 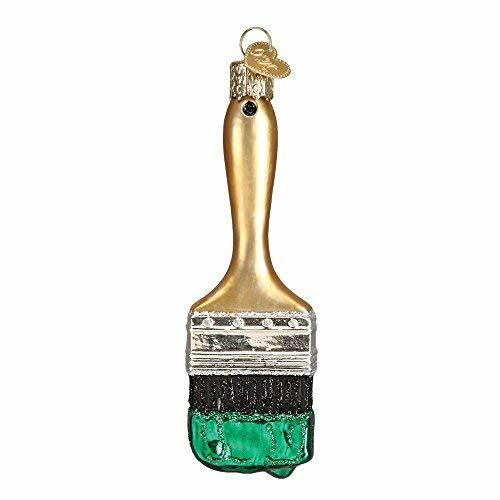 Get Crafty...and Make a Santa Christmas Ornament out of an old Paint Brush! This jolly St. Nick is the do-it-yourselfer's ideal Christmas decoration. Create your own DIY mini canvas image transfers with this easy to follow tutorial! Have an old, dried out paint tube, or maybe one you've used down to the last bit of pigment? Why not turn it into an ornament? Tie a colorful ribbon around the cap, or maybe cover the tube itself in glitter. Old brushes of any kind that are worn-down or too sticky to use any longer can be dressed up similarly with glitter, paint and ribbons to make for fun decorations. Have small scraps of canvas, mat board or paper? Make them into mini works of art for your tree! Use can also use print-on-demand sites like Zazzle, RedBubble, or CafePress to upload your own artwork and print them professionally on Christmas ornaments. These can make great gifts—or products to sell yourself at craft shows and holiday bazaars. 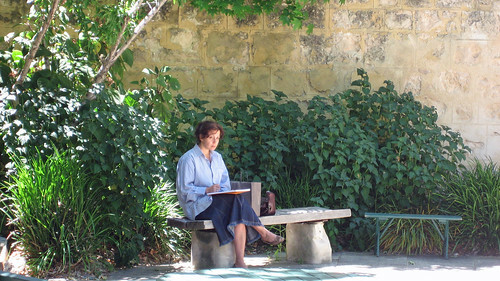 Who is an artist you deeply admire? (Or who is admired by the artist you're gifting an ornament to.) Look for small photo-prints, postcards or maybe even mini-calendar images by that artist you can cut out, laminate, and turn into a personalized Christmas ornament! (You can also just search for images online to print out for yourself.) Some images in the public domain may already be for sale on print-on-demand websites, or Amazon and eBay. These are all lovely - would be great gifts for my artist husband! Me, I'll just take artist Snoopy! Now you can jazz up your Christmas tree with this fun collection of polka dot-themed ornaments available from Amazon and other retailers.